I thought it would be great to compile a ton of the fabulous baby play ideas I've seen in one spot - as well as hopefully introduce you to some great baby (and toddler and preschooler) play bloggers! 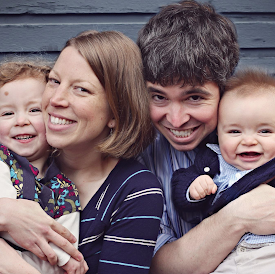 For each site you'll see one representative photo, links to that blogger's top five favorite baby play activities, and you'll also find a link to their complete baby play archive. We've got all the bases covered - lots of great DIY sensory ideas, baby safe sensory bins, even baby friendly paint recipes! 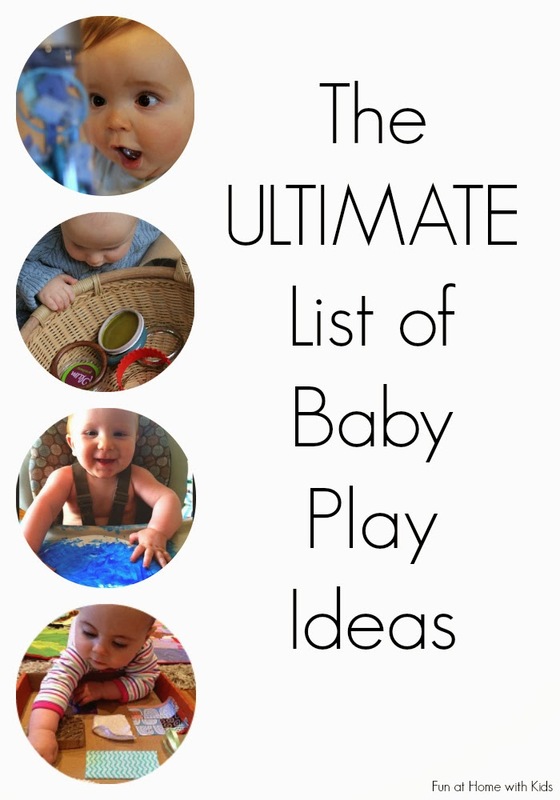 There are so many clever and creative ways to play with babies here - I have so enjoyed seeing the inquisitive and curious looks on all their tiny faces as I compiled this list! 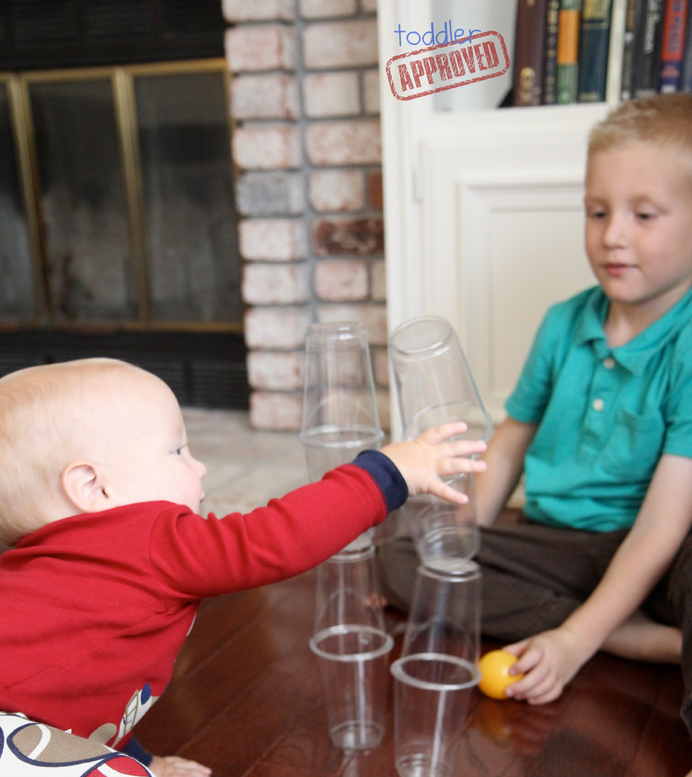 You can find ALL of Fun at Home with Kids' baby play posts here. 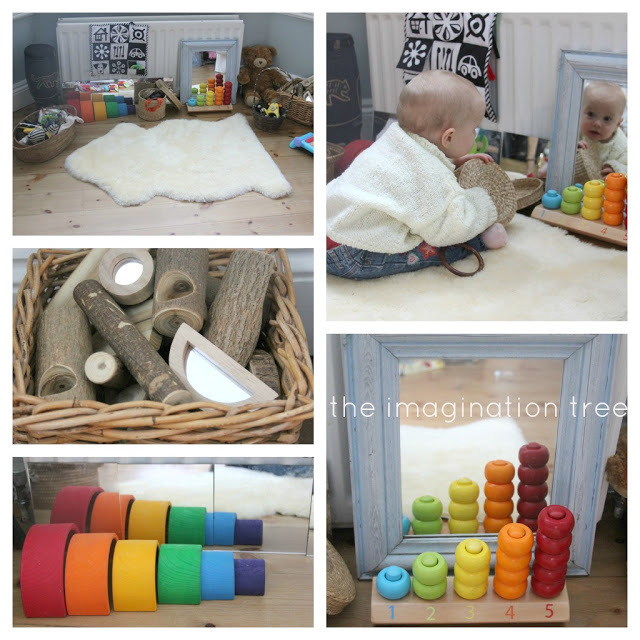 You can find ALL of The Imagination Tree's baby play posts here. 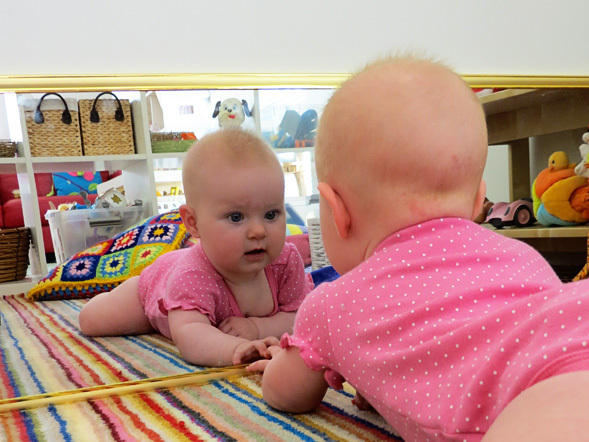 You can find ALL of Learn Play Imagine's baby play posts here. You can find ALL of House of Burke's baby play posts here. You can find ALL of Dirt and Boogers' baby play posts here. 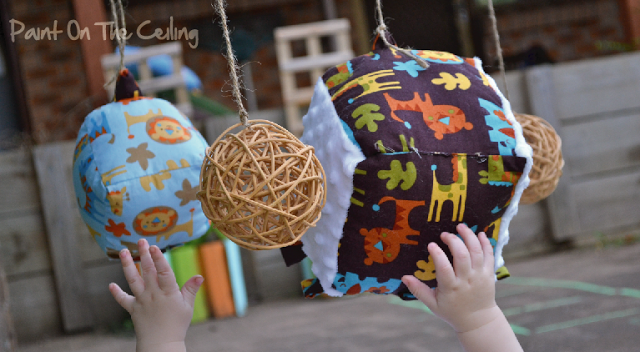 You can find ALL of Learn with Play at Home's baby play posts here. You can find ALL of Toddler Approved's baby play posts here. You can find ALL of Paint on the Ceiling's baby play posts here. You can find ALL of Plain Vanilla Mom's baby play posts here. You can find ALL of Laughing Kids Learn's baby play posts here. 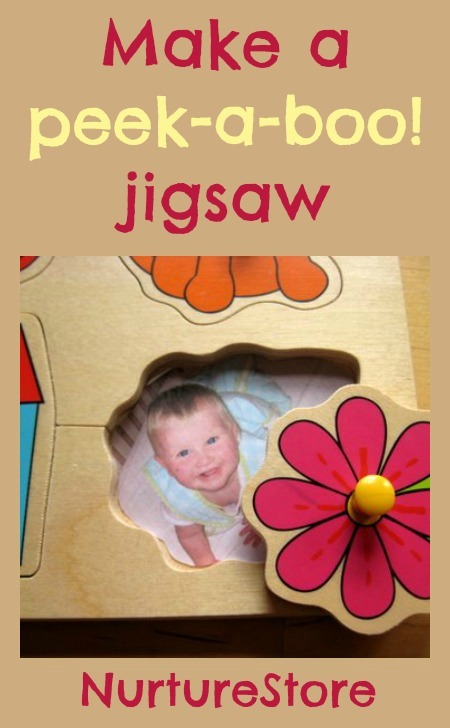 You can find ALL of Childhood 101's baby play posts here. You can find ALL of Nurturestore's baby play posts here. 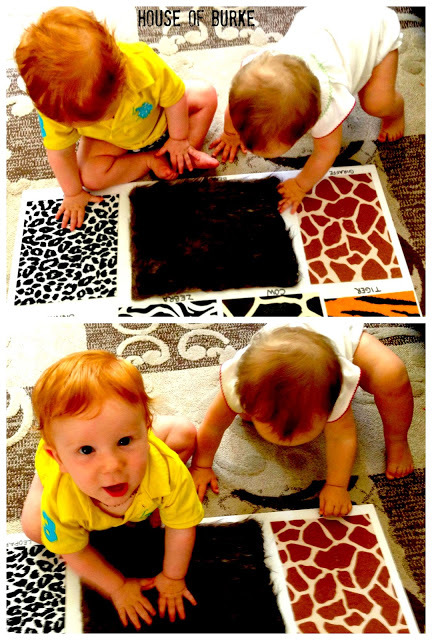 You can find ALL of Lesson Learnt Journal's baby play posts here. Thank you, Pauline! And thank you for your lovely ideas! Aw, thank you so much Anna!!! Excellent resource. I will be pinning this and will be back looking at it often. What a collection of amazing blogs and ideas! Thanks for letting me share a few! 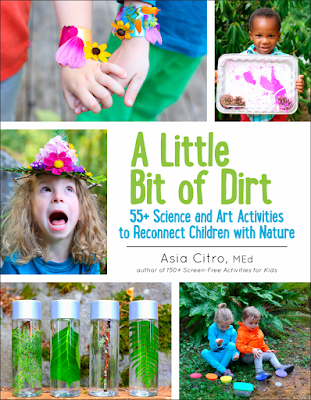 Such a brilliant resource for parents. So pleased I can be part of it. Thank you and totally agree, Angela! This is wonderful! As a stay-at-home Grammy of a 5 month old and 18 month old, I need all the help I can get. I love your blog and ideas! Thanks! Wow Asia, this is brilliant! 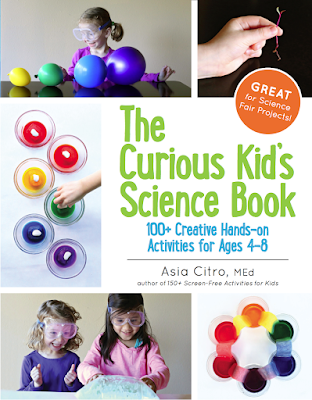 Such a fabulous resource. Thanks for sharing on my wall. I've pinned this. Thanks for such a great list!!! My daughter is 12 months and I'm excited to throw some new play ideas into her routine. On another note, I wanted to let you know that McAfee flagged your site on my PC as a potential problem when I redirected here from Pinterest. I used to do web design and run my mom's website still, so I always hate seeing great blogs flagged for ridiculous coding/widget/update reasons. Thanks again for a great roundup! This is an amazing list! Thank you! I cannot wait to try some out. What a great compilation of ideas to do. There definitely are a few I will have to try out. 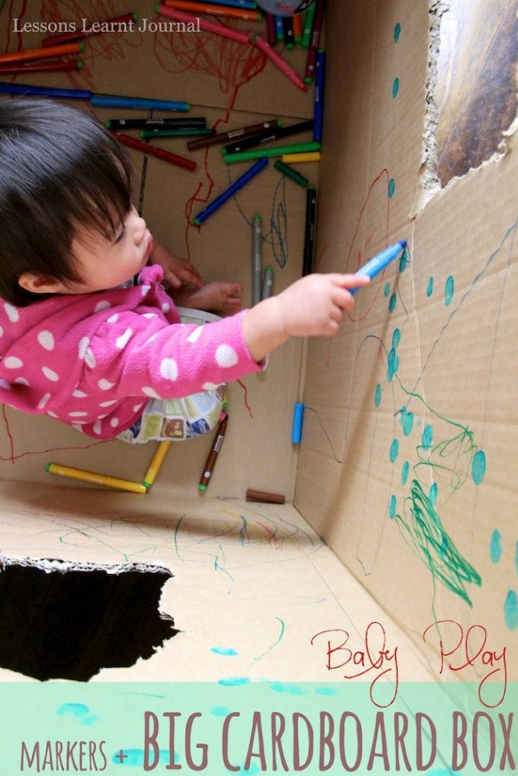 Just be careful with the drawing in cardboard boxes as you are encouraging your child to draw on walls, so make sure your paint is washable . I have a lot to read in the weekend and hope i find something that fits mu daughter's age! This is just fantastic - thanks so much. We will be sharing with our community as well. 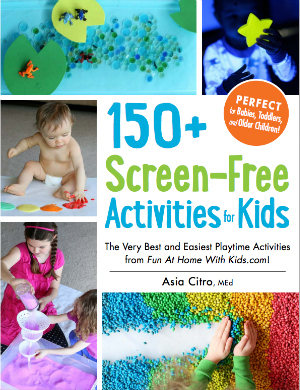 We are all about development-boosting baby activities and love this collection. 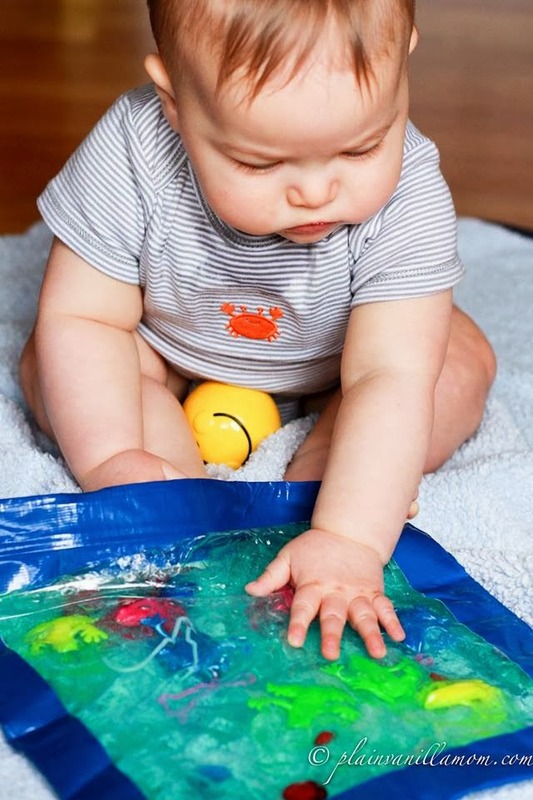 Some wonderful ideas for baby sensory play thank you! !